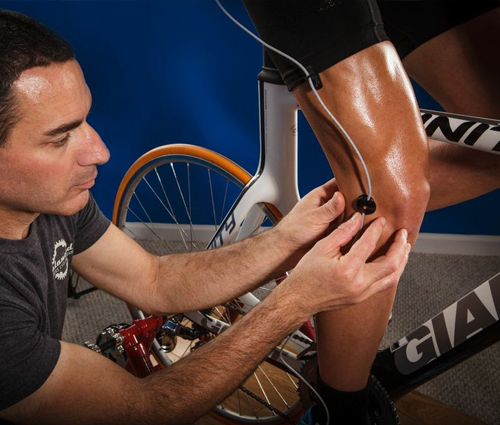 What is the importance of a bike fit? 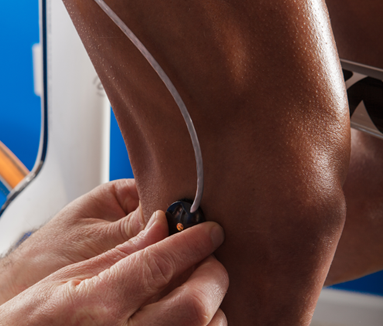 A proper bike fit is essential for injury prevention and maximized efficiency. An optimal position on the bike will allow for greater comfort and enjoyment while riding. All bodies are different and your position on the bike should reflect your biomechanics. The best way to analyze a rider’s efficiency is to observe and measure the rider while he or she is pedaling the bike. Retül 3D motion capture technology simultaneously measures three planes of movement on the rider as he or she is in motion. Retül averages the rider’s pedal strokes to provide a comprehensive data set reflecting the rider’s movements. 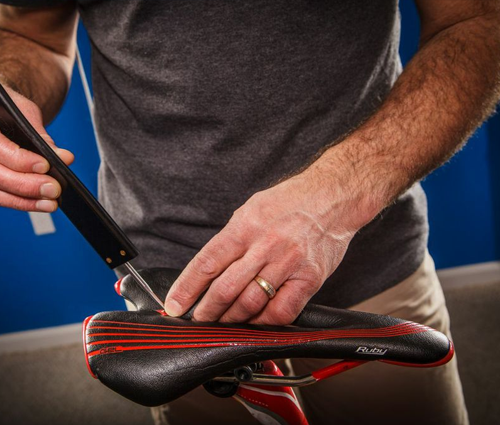 Only at this point can a bike fit expert properly evaluate changes to a rider’s position. Attempts to analyze the rider in a static position, or only in two dimensions, will not provide data at the same level of accuracy as 3D motion capture. With your bike on a stationary trainer and following a brief warm-up, eight infrared sensors are placed on major joints on each side of your body. Initial video and Pre-Fit data is captured on both sides of the body. Bike adjustments are made after careful analysis of the data. The Zin, Retül's handheld digitizer, allows the fitter to digitally measure the rider's bike at 13-15 points, depending on the bike. Rider movement is measured in three dimensions simultaneously, and dynamically while the rider is pedaling. 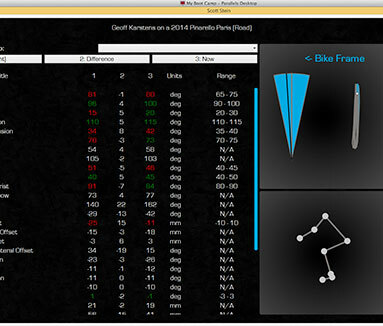 Data is collected dynamically as a set of averaged pedal strokes from the rider. After modifications and adjustments, Retül data is re-captured to ensure an optimal bike fit.